There’s something about the never-ending heatwave this year that’s been drawing me towards desert colours and Hockney-esque shades of pink and blue. I’ve been looking at these cushions most days for the past few months, as they belong to a client that I work with in my day job as a publicist, but I’m only now getting round to putting them up on Decorenvy! The most interesting thing about these babies is that they’re 100% vegan. 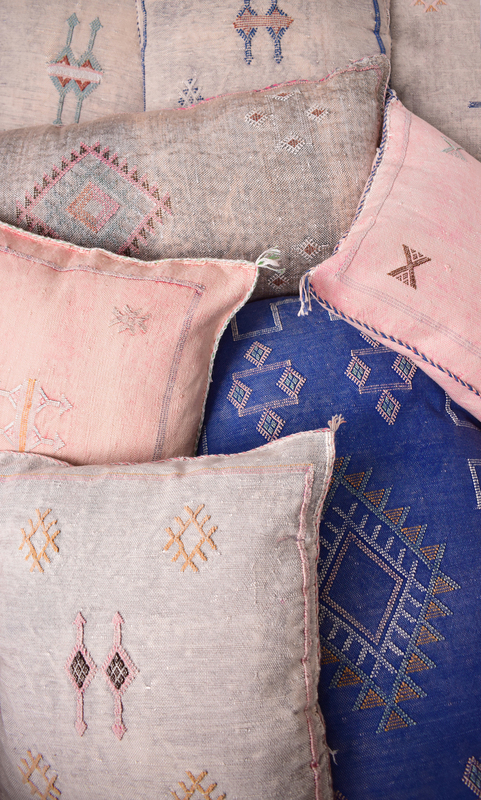 The fabric used to make them actually began life as a flatweave rug, which was then reclaimed and reimagined into these cushions. 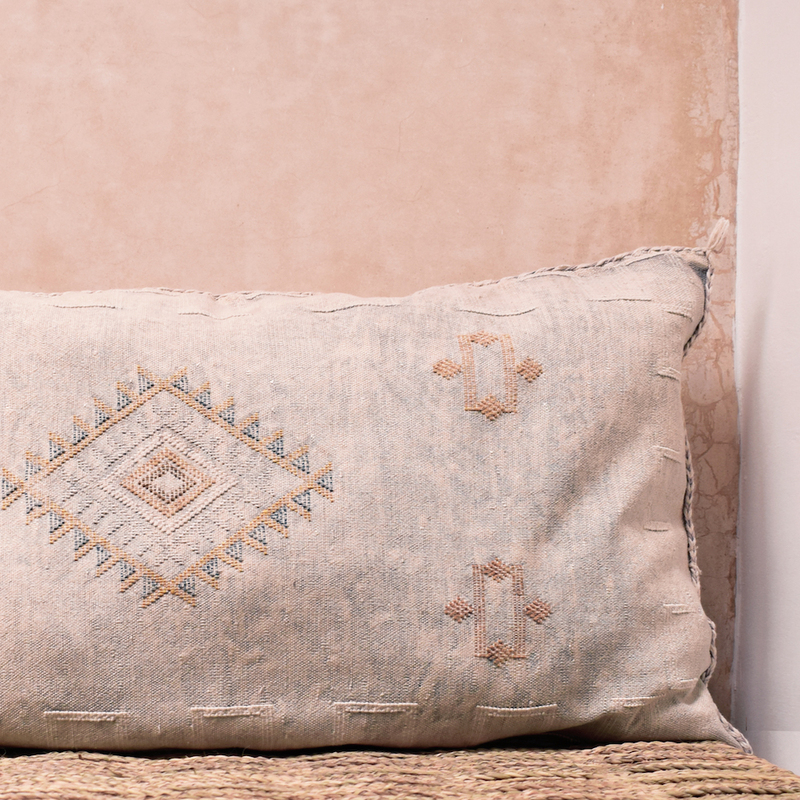 The name of the material is sabra silk, aka ‘cactus silk’, which is - you guessed it - derived from the cactus plant. To create the fabric, cactus leaves are crushed and soaked in water to release the fibres inside, which are then spun into silk. 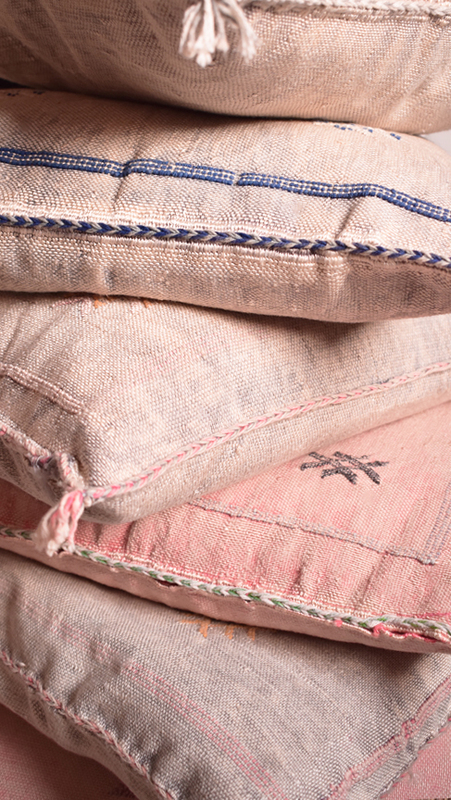 The fabric is then coloured using natural vegetable dyes, washed, and left to dry in the sun for a sun-bleached finish.